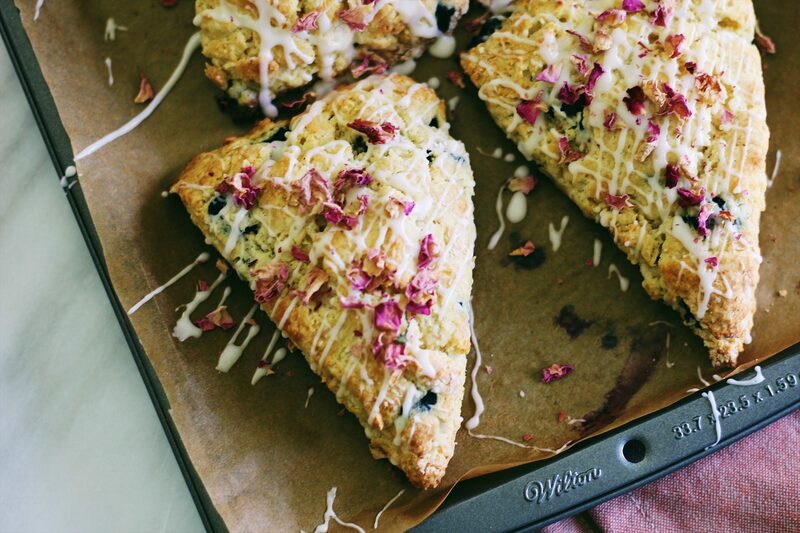 These Blueberry Rose Scones are the perfect spring treat. 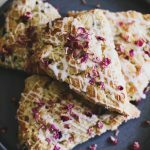 They’re buttery, flaky, floral, and gorgeous topped with edible dried rose petals. Plus: learn how to host a tea party! 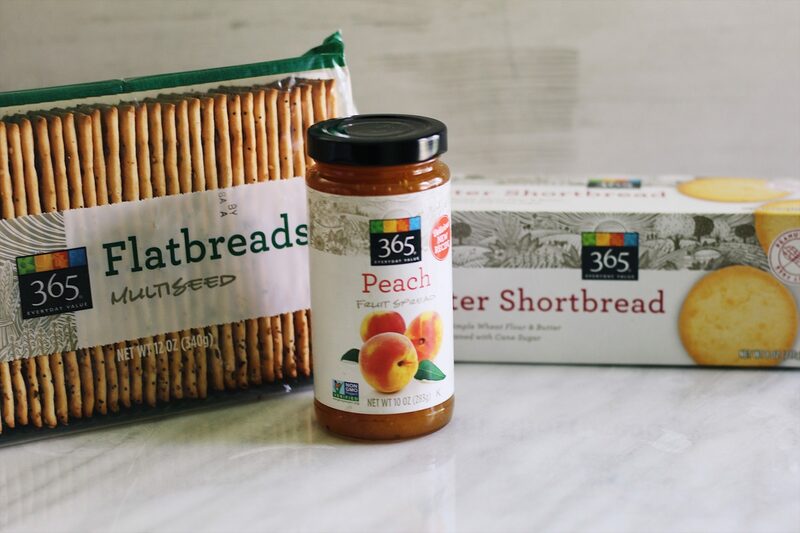 This post is brought to you in collaboration with Whole Foods Market 365. I have recently become obsessed with all things tea. My baker’s rack is overflowing with jars, bags, and tins of loose leaf tea in dozens of flavors and varieties. The waiter at our local teahouse knows my mom and I. I’ve sought out and purchased a gorgeous, floral English tea pot. And I’ve started hosting my own tea parties! What is happening to me? Am I turning into a proper lady? Is this from watching too much Great British Bake Off? To be completely honest with you: I did not care one bit for the royal wedding. Didn’t watch it, didn’t care to. I did, however, care greatly about afternoon tea and scones and an excuse to have said tea and scones. To back up a bit, let’s discuss the local teahouse I was talking about. It is the most adorable place in the world, and I take everyone I can to it. The tea is fantastic (Chocolate Strawberry Saffron, be still my heart), but the scones are where it’s at. 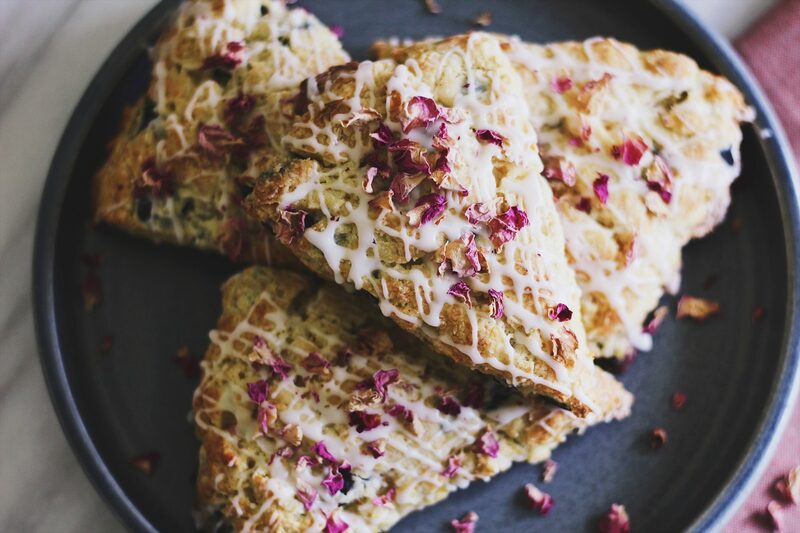 For Mother’s Day, they served white chocolate lavender scones and oh. my. Lavender is probably my favorite flavor in the entire world, so I of course loved them. I rushed home and wanted to make my own. Immediately. But I decided to use rose instead, because how beautiful and spring-y do dried rose petals look? I tend to enjoy pairing anything floral with blueberry (see: Blueberry Lavender Prosecco Mimosas). 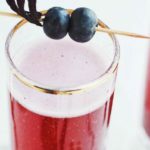 Rose pairs beautifully with juicy, plump blueberries. And blueberry may just be in my top 3 favorite types of scones. 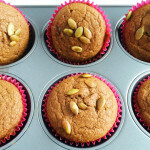 They’re tender, sweet, fruity, floral, buttery, flaky, and delightful with tea. 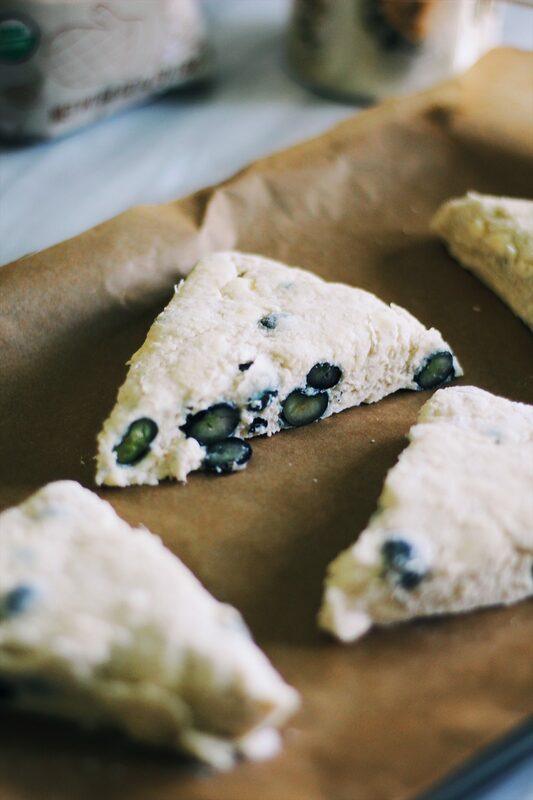 Plus, scones are SO easy to make, guys. Do not be intimidated. You need a bowl, and a $5 pastry cutter (or a fork!). Cut in the butter, mix in the cream, flatten into a disk, cut into triangles. Done. And people will oooh and aaah and be like, “you made scones? !” You bet I did. Just please, please do not: over-mix the butter or the dough. And please, please do: use very cold butter, and serve the scones fresh the day of. So, we’ve got our Blueberry Rose Scones. Let’s have a tea party, y’all. How to host a tea party? Serve floral, fruity things. Make everything really pretty. Cut everything bite-sized. 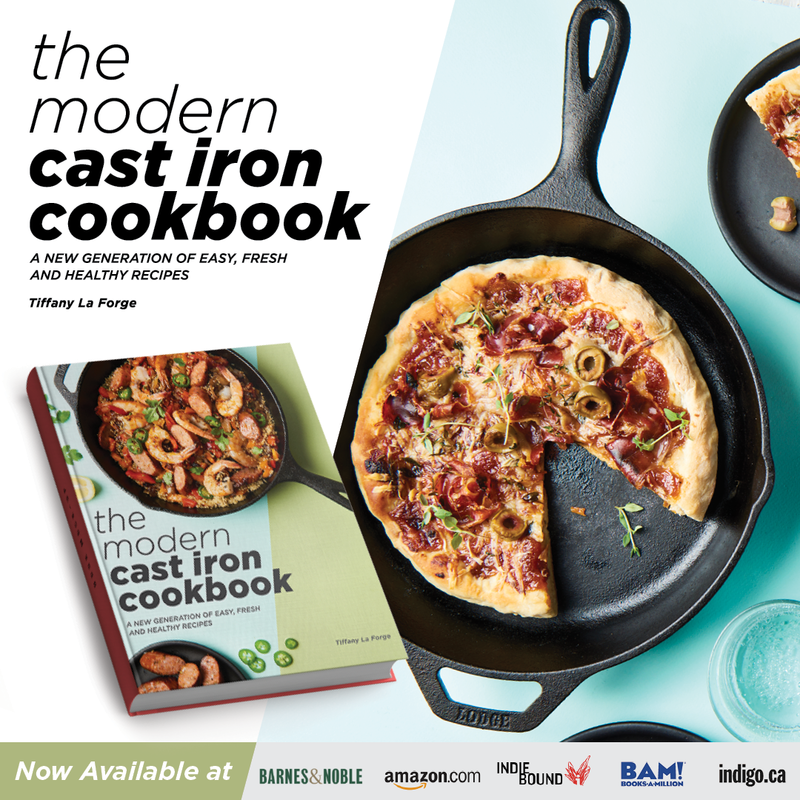 Bake from scratch. And serve really, really good tea. Bonus points if you have a pretty, proper teapot! 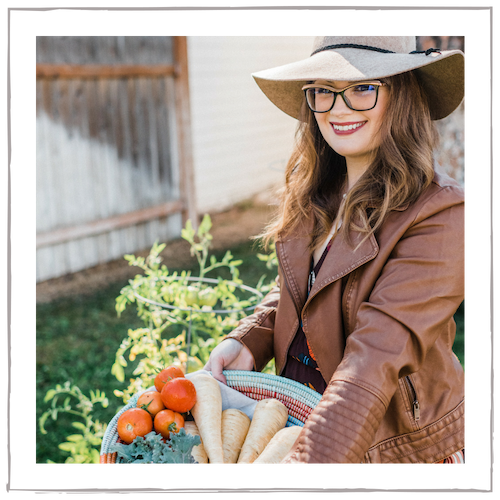 Here’s my favorite tips for you. Serve amazing tea, and at least 2-3 varieties. If you’re intimidated by loose leaf, it’s okay! (Tip: want to use tea bags, but make it look fancier? Brew it in a teapot first and serve to guests. They won’t know!) My local Whole Foods Market 365 in Lake Oswego has a great tea selection. I love The Republic of Tea for bags, especially their Organic Elderberry Rooibos Tea. If you want to serve loose leaf, there’s many, many amazing tea companies online. I usually go to my local teahouse or tea shop and ask for recommendations. I like to serve a black, a green, and a white or herbal tea. I like a variety of fruity and rich teas. 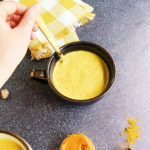 For example, you may want to serve a Jasmine Phoenix tea, a fruity herbal tea, and an Assam black tea (which is lovely with a touch of milk and sugar). It’s always nice to have some caffeine-free options for those sensitive to caffeine. Bake from scratch. You can buy some things from the store (hello, two-bite chocolate brownies), but try to have at least one homemade item (cough Blueberry Rose Scones cough). Not only will it add that special touch to your tea party, but it’ll make the house smell divine for your guests! Make it pretty. Honestly, making things pretty for your tea party goes a long way. You can display your goodies on a tiered stand. 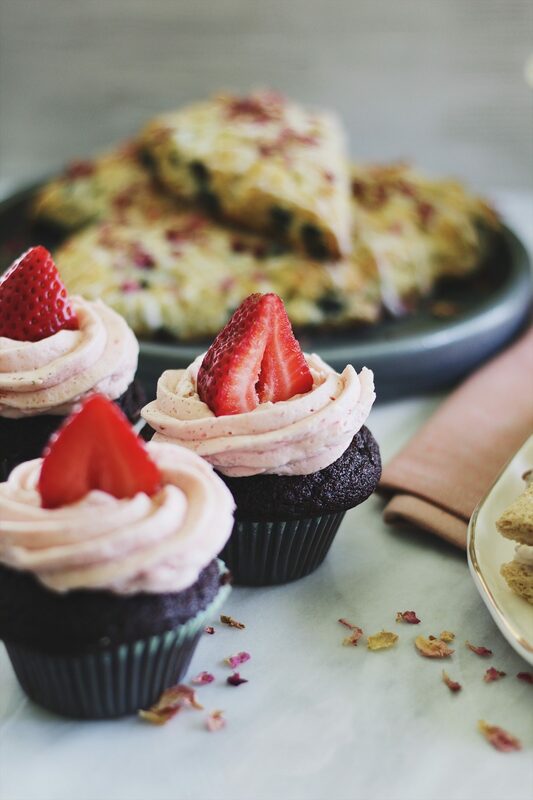 You can decorate cupcakes or scones with edible flowers. You can set out nice china or pretty napkins, have a vase of fresh flowers on the table, or set out a fancy tablecloth. Take inspiration from all those cute little teahouses! Mix sweet and savory. 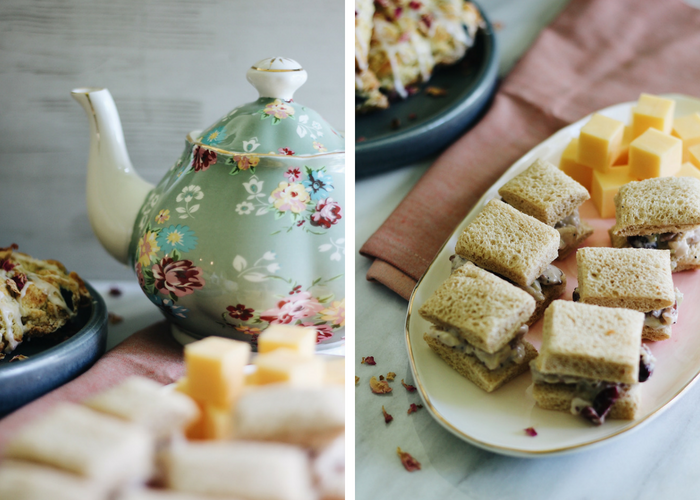 Afternoon tea parties include a nice mix of both sweet and savory courses. For savory things: think quiche, salad, crepes, finger sandwiches, cheese and crackers, dips, etc. Great sweet options include scones, muffins, cupcakes, brownies, cookies, fruit, and chocolate covered strawberries. Don’t forget the accompaniments! Put out clotted cream, jam, lemon curd, Devonshire cream, etc. Don’t forget other beverages. It’s always nice to also offer sparkling water, juice, or a cocktail. 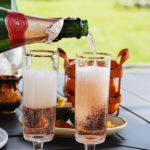 Of course, bubbly is my go-to (isn’t it always?) and mimosas. You could also get creative with tea cocktails or some festive, fruity mocktails. Take some shortcuts. 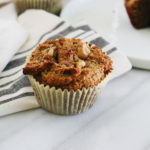 I think that it is 100% fine to serve some store-bought items along with freshly made goodies. Try to make at least one savory (a salad/sandwich or quiche) and one sweet. 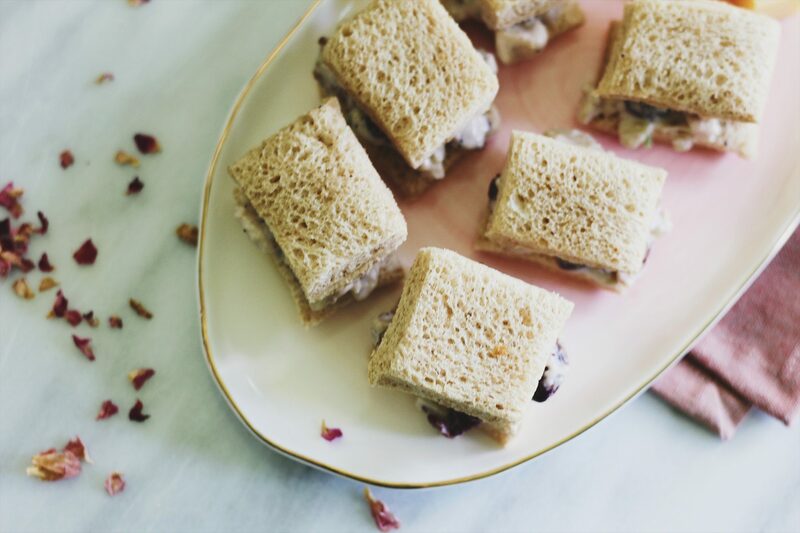 For savory stuff, buy some quality chicken salad with grapes and pecans to serve in tea sandwiches. I also love buying cubed cheeses and sticking little toothpicks in them! If baking isn’t your strong suit, just display store-bought or bakery-bought desserts on a fancy tiered tray. It’ll look homemade. It’s okay to be over-the-top. A tea party is one place where you can’t really be “too much.” The more pink, floral, tulle, lace, or ribbons… the better. Don’t be inclusive. Tea parties are great for all genders and ages. Of course, little girls love tea parties. But know who else loves afternoon tea? Men. Don’t let them tell you otherwise. My military dad gets down with afternoon tea like nobody’s business! 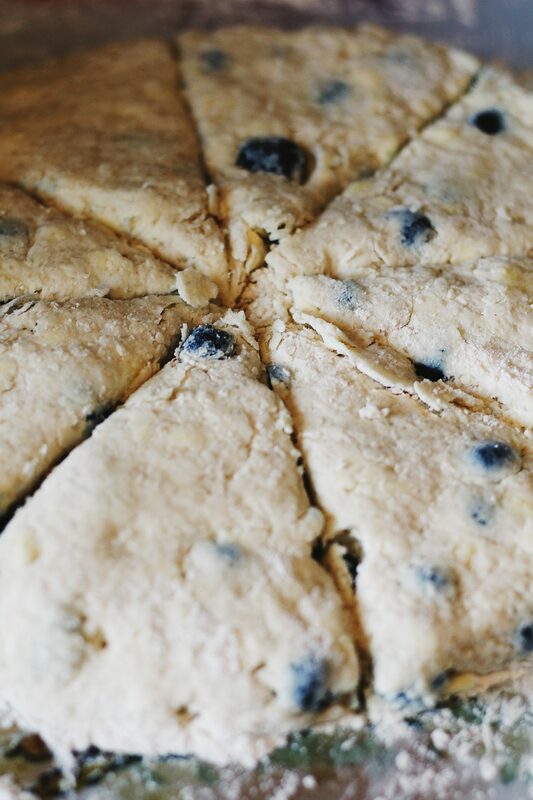 I hope that you make and enjoy these Blueberry Rose Scones! 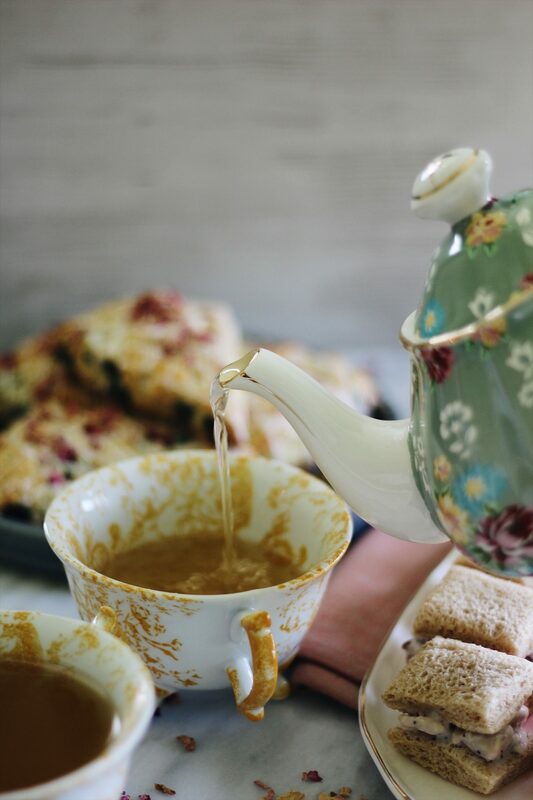 Do you enjoy tea or tea parties? What’s your favorite type of scone? Let us know in the comments below! 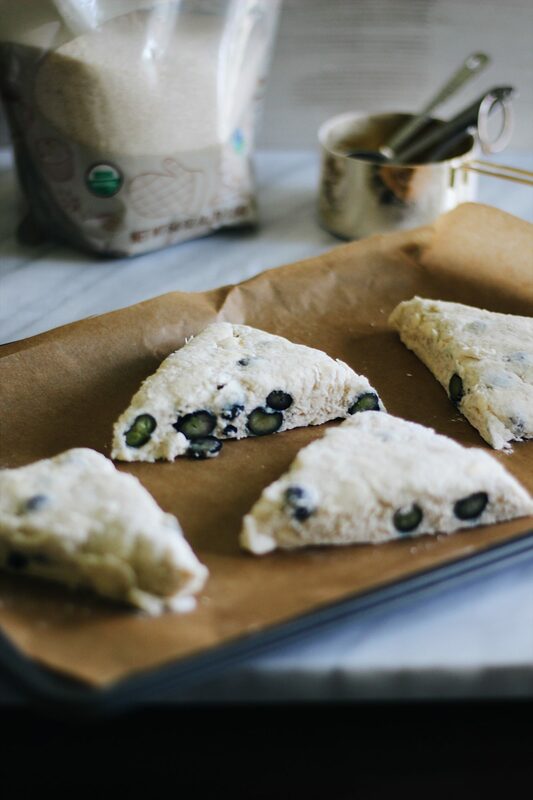 These Blueberry Rose Scones are the perfect spring treat. 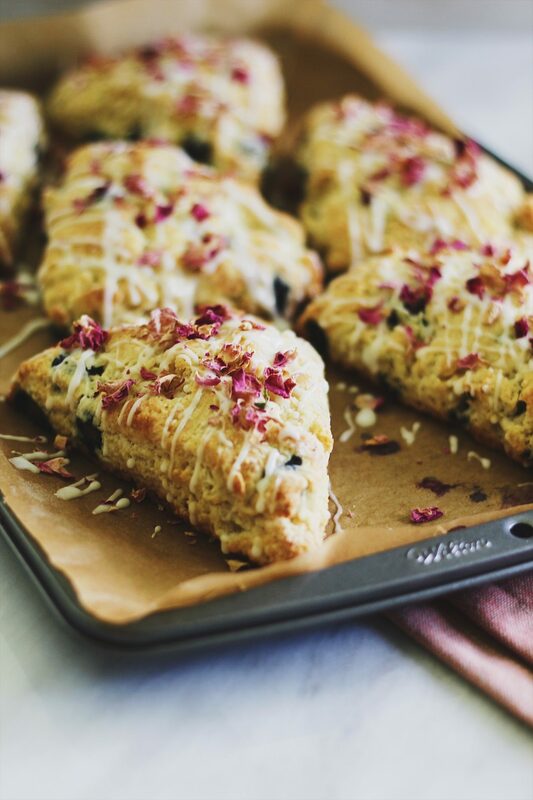 They’re buttery, flaky, floral, and gorgeous topped with edible dried rose petals. In a large bowl, combine the flour, sugar, baking powder, baking soda, and salt. Whisk until well combined. Using a pastry cutter or food processor, cut the very cold butter into the flour mixture until pea-sized. Do not over-mix. You should still see pieces of butter in the mixture. Gently fold in the fresh blueberries. Make a well in the center of the bowl and pour in the half and half and rose water. Stir until just combined. Gently form the dough into a ball and place on a floured surface. Pat the dough down into a circle (about 6-8″ wide and 3/4-1″ thick). Cut the circle into 8 even triangles. Place the scones on a large, parchment-lined baking sheet. Space about a half-inch apart. Bake the scones until golden and cooked through, about 15-18 minutes. Make the glaze by stirring the half and half and rose water into the confectioners sugar until combined. Start with 1 tablespoon of half and half and add from there until the desired consistency is reached. 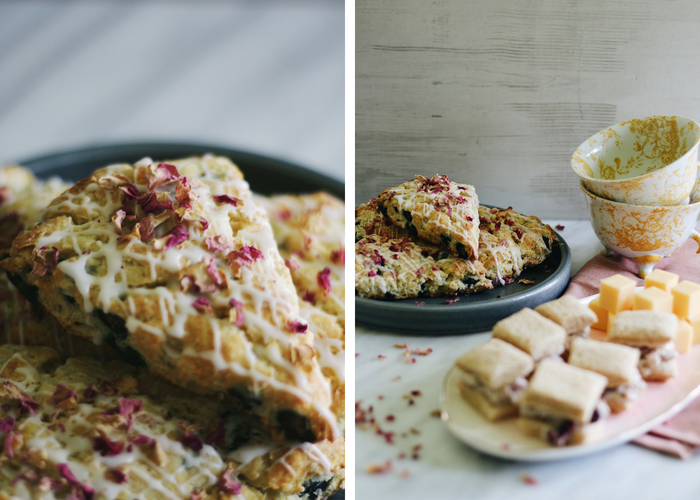 Drizzle the glaze over cool scones and top with dried rose petals. For the best taste and texture, scones should be served the day of. Enjoy! 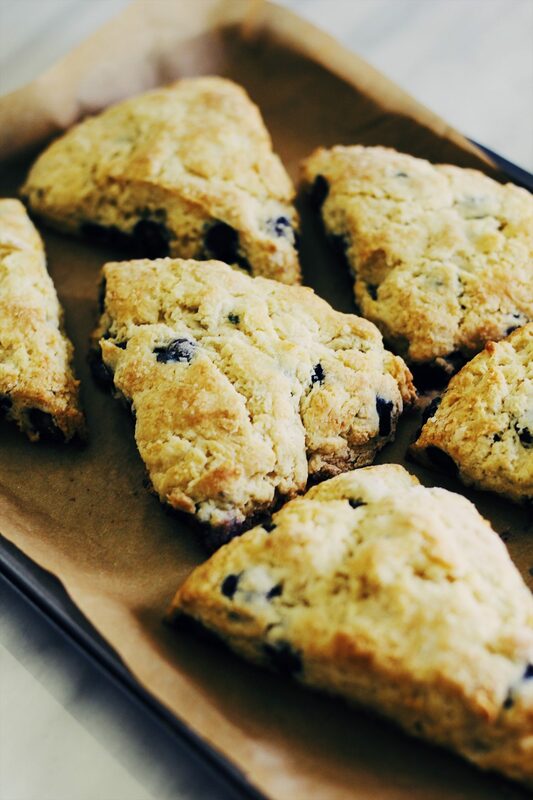 I love eating scones in coffee shops, so I know I would love making my own scones. You also make the process so easy because of how well you explain it. Funny story, I was never a tea party kinda girl till my senior year of high school! My friends and I went to a local tea house and it had become our “spot”! We still all get together every once in awhile to eat scones and be fancy at the tea house! But now that I have a daughter, it’s time to start learning how to host my own parties! She is only 7 months old, so I still have time! 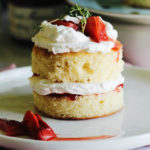 Will definitely have to try out your scone recipe till then! I have never tried to make scones but they really sound so good and pretty easy. Love blueberries, have to save your recipe. I love scones but have never tried to make them Your recipe looks so easy, I may give it go. thank you. This is perfect for a brunch event with some tea. I love when 2 of my favorite food is put together into a masterpiece. Oh my… you totally made me drool! The scones look so delicious. 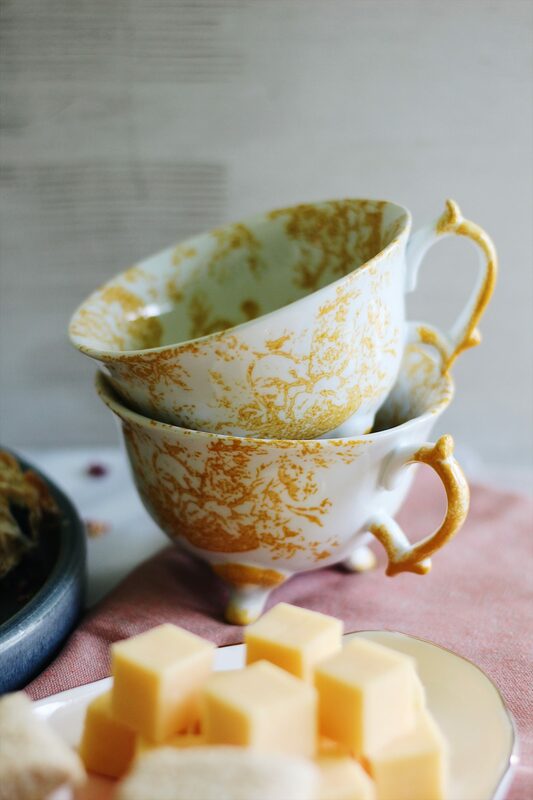 A perfect treat to serve at a tea party. I have to admit, I’ve never hosted a tea party, so the tips you mentioned would definitely help me out. What a great read! 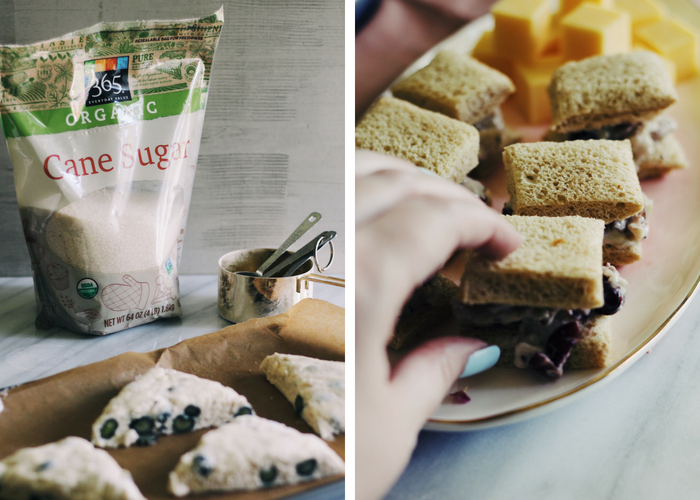 I love afternoon parties and always have a mix of sweet and savoury. I have eaten plain scones in the past, but never blueberry ones. Looks divine! Oh My Goodness your Blueberry Rose scones look and sound delicious and you say they can be made easily? I never knew lavender was a flavor? Tell me more, is it like the rose water (that I have never heard of for cooking either)? So glad to get these awesome tips. Hosting a tea party is such a fun. Loved blueberry rose scones too.